China is the name for an immense cultural area with a very long history, an ancient civilization in one of the largest countries worldwide and with the largest population on earth. Everyone knows the Chinese food, the China-towns worldwide and the fact that China has the largest population worldwide and their measures to settle this. 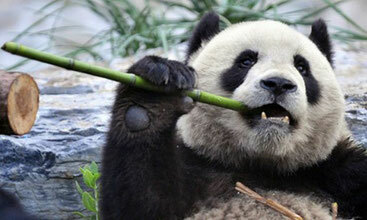 The "Chinese Wall", the Panda Bears, the "Forbidden City" and the "Terracotta Army" are also known all over the world. But China is so much more. Let's start with an extremely interesting history - as in Europe the Royal family and nobility have determined our history for centuries, that is for China by Dynasties. 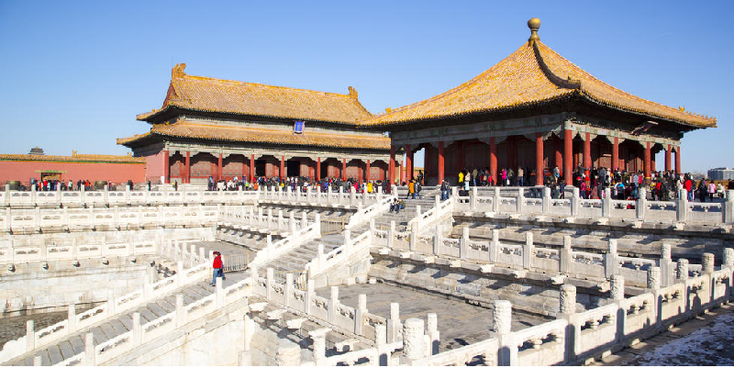 Kings were often emperors there and the Forbidden City is perhaps far comparable to the golden cages we had in Europe. Everyone knows the Silk Road and the fact that Marco Polo traveled to China for trade. That was the time that the Mongol warrior "Kublai Kan" had conquered the greatest empire on earth and settled in the country. But how did those routes actually run - can you still see some of them and what does it mean to the world? And for what purpose was the Chinese wall actually built and was it useful in the end? And who built the Terracotta army and can you compare this to the burial chambers of the ancient Egyptians for example? In the 20th century, China (which, incidentally, is derived from the word Qin - Chin - which was one of the states of the country of China) got the shape we now know even though it took decades of civil war for it. Necessary wars with Russia, Japan and conflicts with India were part of this. Before WWII, this civil war was already going on between the nationalists and communists and this would drag on during WWII when the Japanese conquered a big part of eastern China. In 1949 the communists would settle for good with the nationalists who fled to Taiwan. To this day, China - an almost dictatorial communist party crouches and is more open to trade with the West. Hong Kong was returned to China after 100 years and of course there was the war with Tibet in the 1950s as well as the intervention in Korea and Vietnam. Cities like Beijing, Shanghai and Hong Kong appeal to the imagination but do not expect sampans on the waters between the gigantic crowd of high-rise residential and work towers. Industrialization and modernization has already penetrated far into Of course there are still beautiful sites to see in China - the holy mountain of "Huang Shan" for example or the magically almost mystical mountains from around "Yangshuo" - an image that you often see on Chinese calendars. The country is so big that there are deserts, high mountain ranges, the Tibetan plateau, large rivers, rice fields and everything you can encounter in China whatever you can find. And that is the same for the flora and fauna - there are still wild tigers, panda bears and river dolphins but because of pollution and for example the abundance of people these animals are so threatened that it might be too late. Culturally, China is just as different as you can imagine - gestures and habits that are very normal for us are described as rude and vice versa. Prepare yourself for a meeting or greeting in China because you can insult people without knowing it. 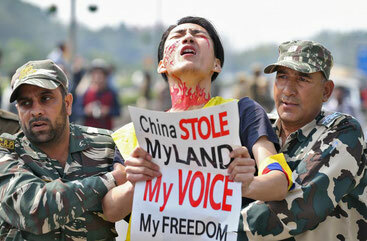 China has countless "sensitive" issues in almost every field. First there are problems with minorities and regions; Taiwan is still seen as a rebellious province instead of a sovereign country. There are the oppression of the "Ugurs", which mainly live in Northwest China and the "Tibetans" (and Tibet) in Southwest China. Finally, there is the city of Hong Kong that wants to become independent but since 1997 also falls under Chinese rule. Because China claims the islands and large parts of the Chinese Sea, there is also a very stiff relationship with neighboring countries. The country also has to contend with gigantic natural disasters such as annual typhoons, landslides, floods, tornadoes and excessive rainfall, resulting in thousands of victims. There is also the increasing smog in large cities in particular and hundreds of people are still injured and killed annually after explosions in mines and, among other things, power stations. In October 2015, the Chinese Communist Party put an end to the one-child policy and the couples were allowed to have two more children. The law that allows only one child has been controversial since its introduction in 1979. Population growth had to be restricted by legislation. The one-child policy has led to the problems in China. Farmers, for example, often preferred a son, so that daughters made up for adoption or even killed. A year later it became clear that despite the increase in children, many couples are no longer interested because in many cases it seems unaffordable to take two children and because there is no space. Also in areas of high debt, a possible real estate bubble and serious environmental pollution, the Chinese president wants to fight corruption at their country at any cost. Limiting bribery and some key figures from the communist party were fired. Those who suffer the most from the anti-corruption measures are Chinese small and medium-sized enterprises, because that is a serious disadvantage compared to state-owned enterprises.